Marc DeArmond is the Technology Coordinator at Lopez Island School. He teaches a number of technology based electives as well as overseeing the back end systems and networking for the District. He joined the Lopez Island School team in 2012. His current courses include Introduction to Technology, Digital Portfolio, and App Development. Growing up in Santa Cruz, Ca he was close to the growing promenance of the Silicon Valley and began working with computers as young as age four. By age 12 he had assembled his own computer and hosted an open access Bulletin Board System. Marc graduated from University of California – Santa Cruz in 2002 with a degree in Film and Digital Media. He worked for 5 years as an IT recruiter working with ERP consultants. He then pursued a Masters Degree in Teaching from Evergreen State College. Mr. D's primary interests include gaming in any form, gardening, photography, cooking, and eating. This blog discusses educational issues and gaming both as it pertains to education and independently. 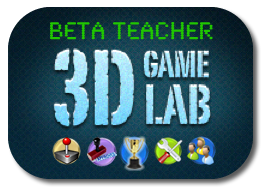 It is designed to both instruct people in education how games can make a difference in their teaching as well as show gamers how their passions are being used to educate students. Mr. D. can be emailed at HERE.